Does Photography Help Artists Cheat? This question is as old as the invention of photography itself... and yet, it is still being asked... this time by Sarah Cascone at artnetnews. Cough, cough, yawn... read it all here. Bottom line is the bottom para in this tired argument: "... artists get into trouble when they view a photograph as the truth, rather than as a tool." 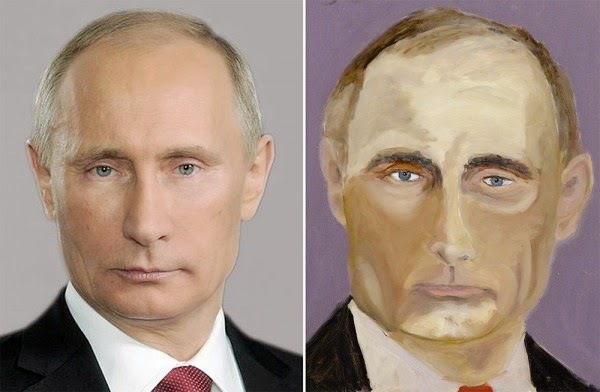 PS - Asskicking portrait of Putin by Dubya though!